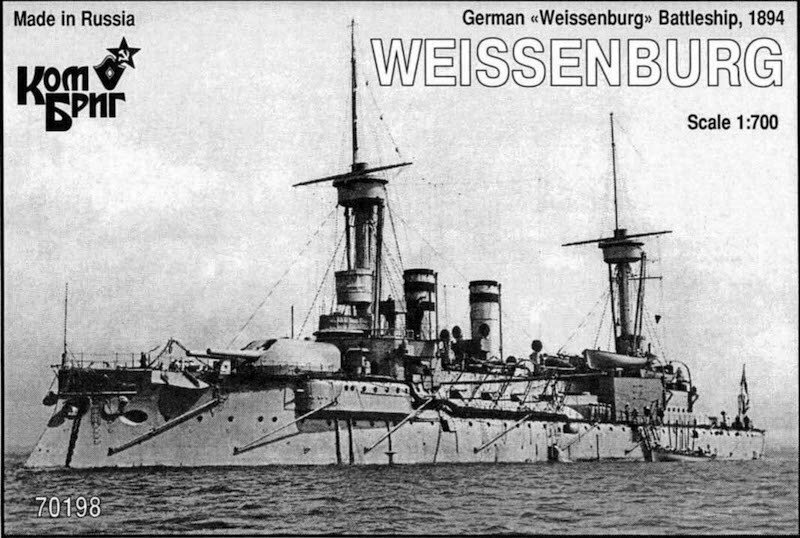 SMS Weißenburg was one of the first ocean-going battleships of the German Imperial Navy. She was the third pre-dreadnought of the Brandenburg class, along with her sister ships Brandenburg, Wörth, and Kurfürst Friedrich Wilhelm. She was laid down in 1890 in the AG Vulcan dockyard in Stettin, launched in 1891, and completed in 1894. The Brandenburg class battleships were unique for their era in that they carried six large-caliber guns in three twin turrets, as opposed to four guns in two turrets, as was the standard in other navies. The British Royal Navy derisively referred to the ships as "whalers". Weißenburg saw limited active duty during her service career with the German fleet. She, along with her three sisters, saw one major overseas deployment, to China in 1900–01, during the Boxer Rebellion. The ship underwent a major modernization in 1902–1904. In 1910, Weißenburg was sold to the Ottoman Empire and renamedTurgut Reis, after the famous 16th century Turkish pirate Turgut Reis. The ship saw heavy service during the Balkan Wars, primarily providing artillery support to Ottoman ground forces and taking part in two naval engagements with the Greek navy in December 1912 and January 1913. She was largely inactive during World War I, due in part to her slow speed. In 1924, Turgut Reis was used as a school ship, before eventually being scrapped in the mid 1950s.